My fringe was at my knees, my confidence was at my toes, and I was expected at the biggest UK bloggers' conference, to be a butterfly no less! 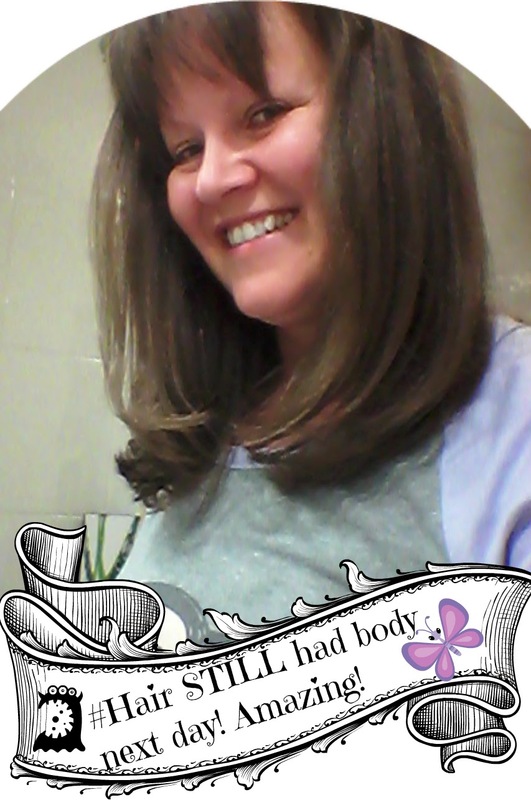 So what did I do, I made a Hairdressers SOS call and got me an appointment. It did mean trecking from one side of London to t'other but if you live in Central or North West London I would get yourself there. 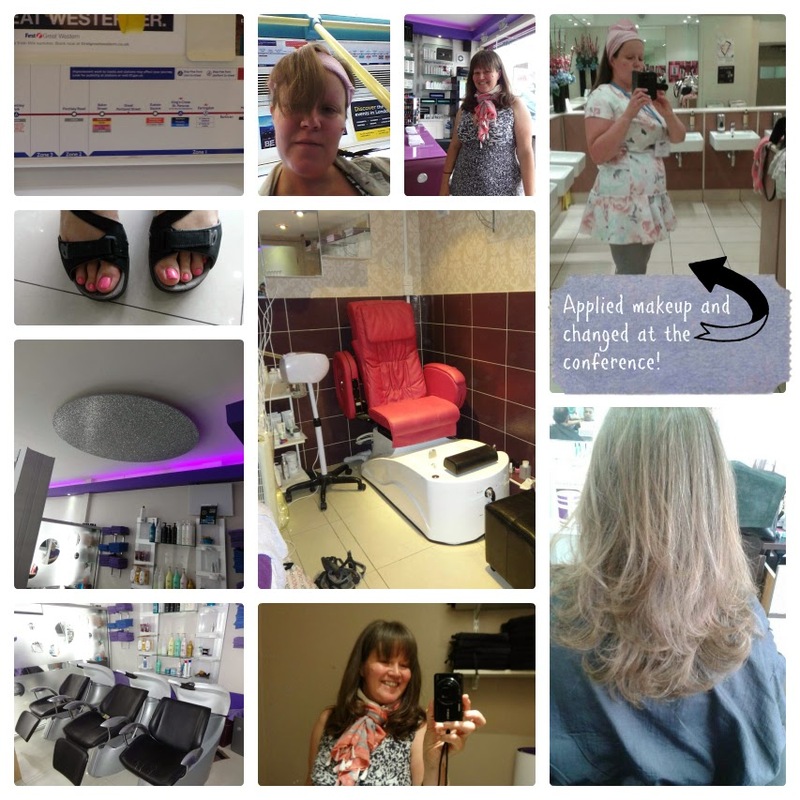 In this review I will tell you why you should make your way to Fusion Hair Design Harrow (nearest tube station Queensbury)! From the outside the salon looks like an ordinary provincial town highstreet salon, which doesn't prepare you for what you get inside. All of the finishing touches are there, from great interior design, super hair care products, great customer service and fabulous hair stylists. I have never been to a salon where the sink chairs are ALSO massage chairs. This was a very pleasant surprise. 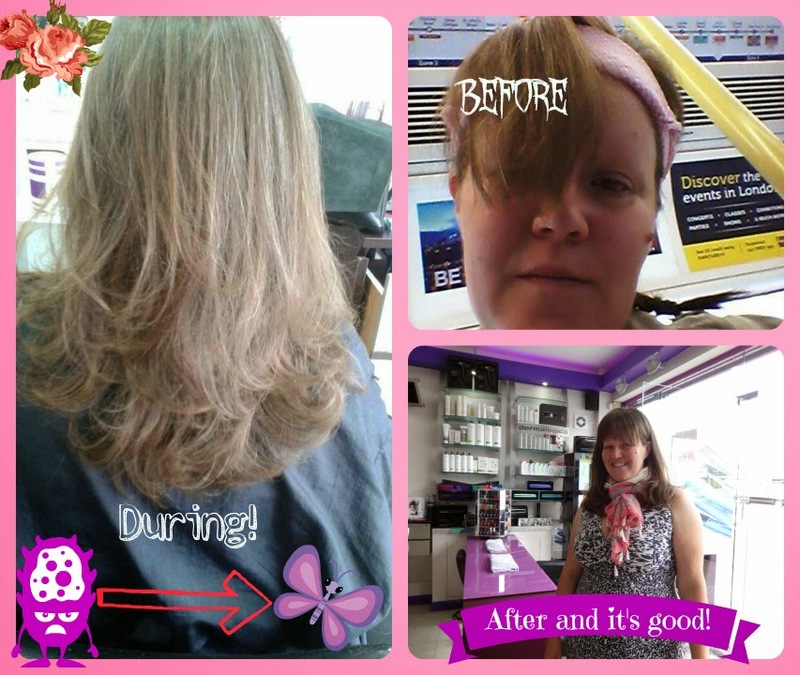 I will say, the person who cut, styled and blow dried my hair was my cousin, not the owner, but this is an honest review by an impressed customer. I am used to salons being quiet on week days, but this place was buzzing at 10 a.m. and always is apparently. So impressed was I, that even though it left me tight for time, I booked a spontaneous pedicure. The spa room is out the back (where you see that red chair above). Once they close the two doors to the salon, you really do feel tucked away in a spa. Every attention to detail is there to give you that zen feeling! They have a dedicated beauty therapist, who really knows how to put customers at ease. My back was pummelled by the massage chair whilst I had a LUXURIOUS pedicure that was only 20 pounds. I have paid 38 in the past for a pedicure of this nature. Staying for that spontaneous pedicure did cost me though as it meant I had no time to use their ladies to don my outfit and do my makeup prior to dashing off for London Underground. So the selfie you see above, is me with a headband on in the Brewery toilets(BritMums Live venue) so that I can apply my makeup. In such a rush was I that I actually fell when walking from Moorgate to the venue and landed on my bags. Yes that was good as they broke my fall but my weight caused one of the pins of my laptop plug to pierce my deodorant, which meant I couldn't freshen up on arrival. It also meant everything in my bag was covered in white sticky deodorant! 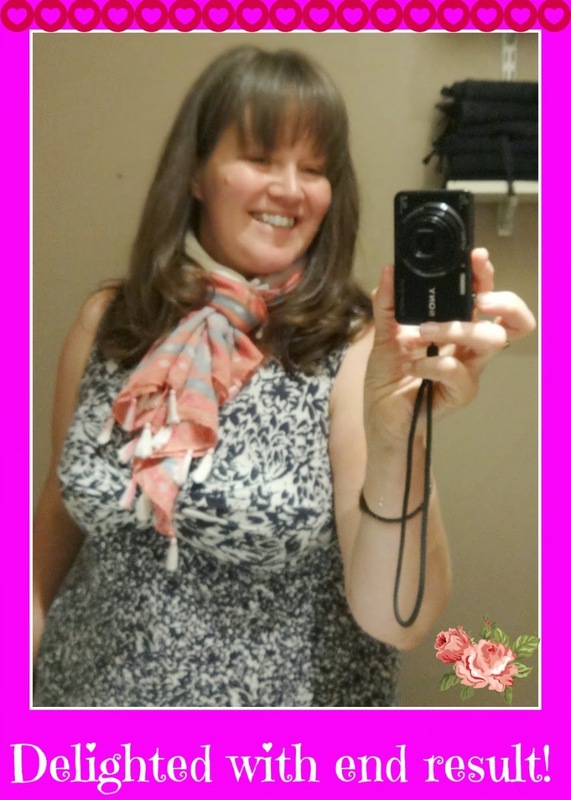 I have recently written a spiritual post about the Sisterhood of the Rose for Britmums.com and have since realised that the outfit above is COVERED in roses. It's funny as I tried it on in M&S a few weeks ago and KNEW it made me look larger but I was adamant to buy it and adamant that I wear it at the conference. My subconscience clearly knew more than me - as usual! If you've let your hair "go" get yourself off to a salon. I can't begin to tell you the LIFT it gave me. Disclosure: my hair was complimentary in exchange for an honest review. However, as mentioned above I did pay for my pedicure. It was well worth it too!